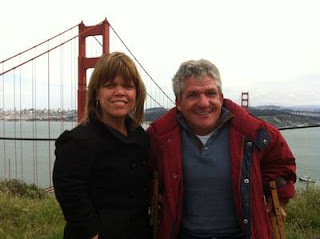 Regular readers know that we've moved away from doing big stories on little bits of television news, but Matt and Amy Roloff separating is an eye-popping story for us, as longtime fans of the Little People, Big World brand. Although it is not much of a surprise for those who tune into the Roloff family and their series, making the decision to try a separation after 26 years of marriage is a big deal. The couple has been struggling on-air since their now-23-year-old twin sons began growing up and moving out several years ago. Molly, their valedictorian daughter, is currently finishing her second year of college as well. Fortunately for Jacob, the couple's youngest son who still lives at home, Matt will remain on the family's large farm, living in the guesthouse. As the farm is their primary livelihood (though in early seasons, Matt was a salesman and Amy was a preschool teacher), the couple is expected to continue working together. More information will be available when a new special of Little People, Big World, "Trial Separation," airs on Tuesday, March 25th on TLC.